The Tahirih Justice Center is the Primary Non Profit Sponsored by One Planet Ops Which Works to Protect Women Fleeing Gender Based Violence Abroad, As Well As Immigrant Children Advocacy, Through Free Legal and Social Services. 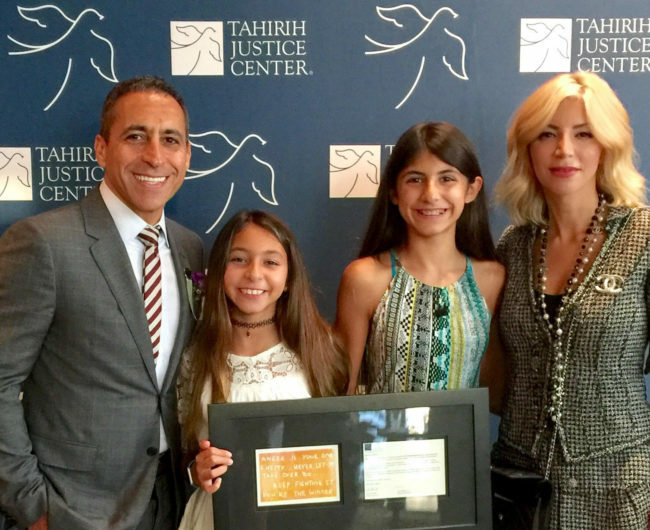 The Tahirih Justice Center hosted their 5th Annual Gala in Houston Saturday evening to raise awareness and vital funds for immigrant women and girls in the greater Houston area to receive free legal and social services, and children advocacy. Since its beginnings, Tahirih has assisted nearly 19,000 women and children seeking protection from gender-based human rights issues. It stands as the only national, multi-city organization providing such a broad range of life-saving assistance. CEO of One Planet Ops, Payam Zamani, was humbled to accept the Hope Award that evening. As an active board member of Tahirih Justice Center, Zamani also has ensured that the organization has become the primary non-profit sponsored by One Planet Ops. His personal story of immigration is one in which inspires hope for those fleeing violence in search for new beginnings here in the US. When Zamani was 11-years-old, he was expelled from his school in Iran for being a member of the Baha'i faith - a peaceful religion with a strong belief in gender-equality. In the 1980’s in Iran, many Baha'is were being arrested and hundreds were executed. After a long, harrowing journey through the mountains suffering near starvation, dehydration, and hallucination, Zamani made it to Pakistan. A few months later, Zamani received his refugee status from the United Nations High Commissioner for refugees and he eventually made his way to the US Embassy in Pakistan. Fast forward to today, and Zamani has been able to pursue his dreams in entrepreneurship, start several successful operating companies, and help others achieve their own entrepreneurial dreams in the process. "When you support an immigrant child, you’re not just helping them in the courtroom, you’re setting them up to have the freedom and the opportunity throughout their life to aim for the stars, to reach them, and to have measureless light to share,” Zamani said before introducing the founder of TJC Layli Miller. The evening was also enhanced with the inspiring tale of a high-school student who was able to find peace through TJC services after falling victim to human trafficking at just 15-years-old. 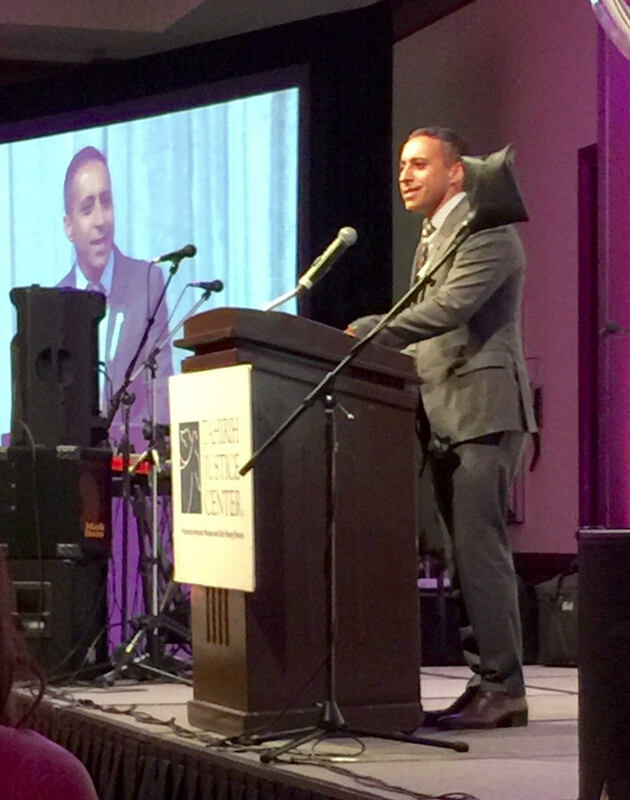 The incredible stories of hope shared during the evening of the gala are just a small representation of the many lives saved and empowered through the efforts of Tahirih Justice Center, and we are proud to continue supporting its growth across the nation. To learn more, visitwww.Tahirih.org.